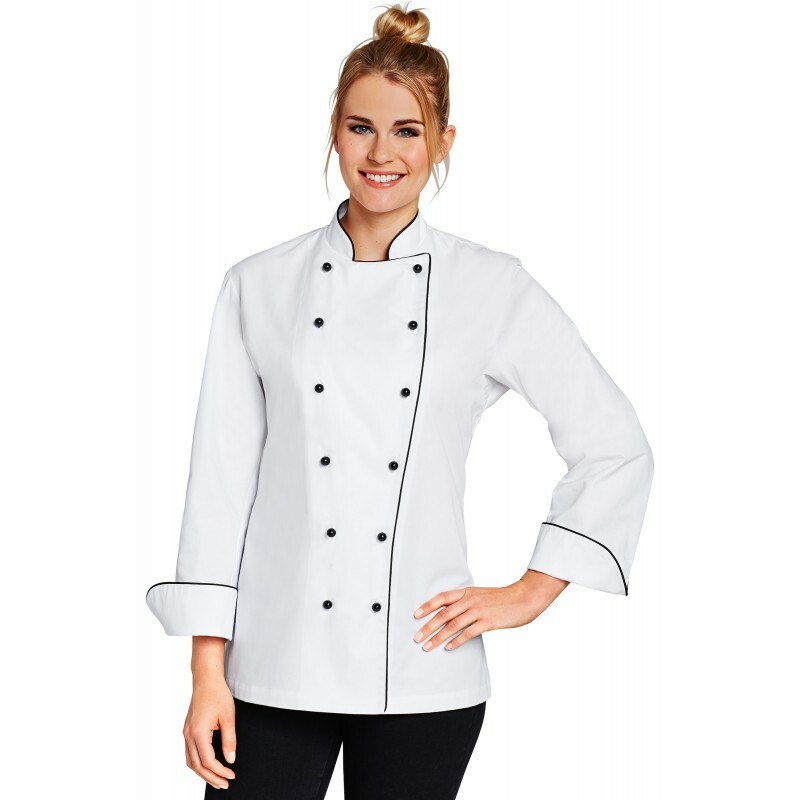 Ladie’s chef’s jacket, black piping trimming. No chest pocket. 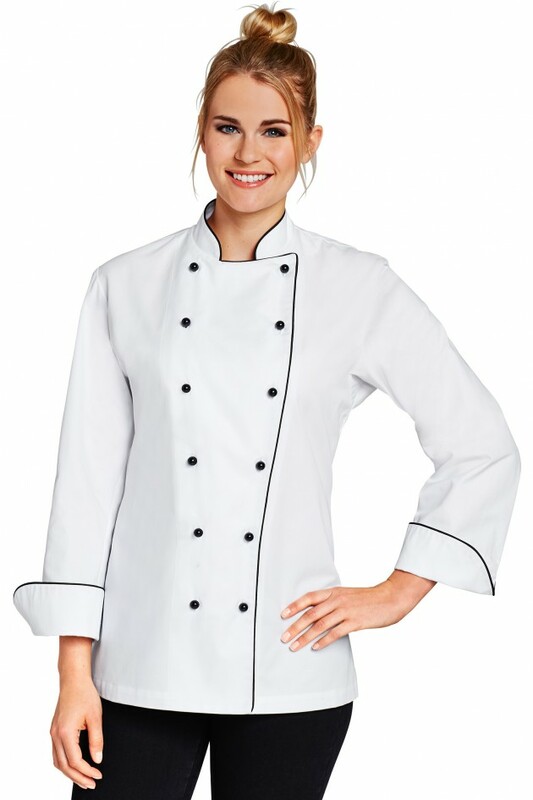 Removable buttons sold separately. Long sleeves.